»A few months ago my son and daughter-in-law remodeled their kitchen. Part of the remodeling was to put in recessed lights overhead and to use CFLs in them. From that time on every time I went to their house and sat with them at the kitchen table I coughed the whole time I was in there. If I would go upstairs to the computer room I would find relief. I usually go there to visit every week, and from the time they remodeled I coughed worse and worse with each visit. Today they turned the lights off when I was in their kitchen. Guess what!! I didn't cough. The End of the Light Bulb - The End of Healthy, Natural Lighting? c' est la premiè re fois qu' on interdit totalement à la vente un produit non dangereux. les fluo-compactes sont beaucoup plus dangereuses pour la santé(voir video ci-dessous), mais le principe de pré caution n' est pas appliqué. Con la llegada al mercado de las bombillas de bajo consumo se logró reducir el gasto de energía pero no la contaminación. Su contenido en mercurio supone un peligro para la salud cuando se rompen y sus gases son inhalados. Este documental analiza las consecuencias. LED Lighting Industry: Opportunity or Health Hazard? 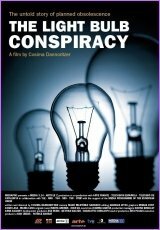 In the section »Compact Fluorescent Lamps« Katharina Gustavs provides information from concerned scientists and consultants especially from Germany and Switzerland, but also from Canada and UK. Les ampoules basse consommation fluocompactes Progrè s ou désastre ? "At one level, this is about light bulbs, energy efficiency regulations, and energy and emission policies. At a deeper level, it' s about challenging accepted truths. Few challenge accepted truths - that' s why they stay accepted. Repeat supposed "facts" often enough, and many will believe them." For example,the government uses taxpayer money to advertise saving lamps instead that manufacturers pay for their advertising itself. "After working with interior design and finding how essential the right type of light is for the appearance and functionality of any environment, lighting issues have become something of a special interest. With all the lies and exaggerations spread through every available channel by the organised anti-lightbulb campaign, I’ve felt it a duty to do my share in helping to clarify deliberately muddled light issues and informing the misinformed." 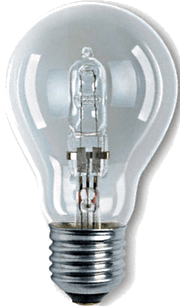 providing detailed informations about Incandescent and Halogen Light, CFLs and LEDs. Keuzevrijheid voor de consument. Natuurlijk licht van gloei- en halogeenlampen (=gloeilicht) moet beschikbaar blijven voor de consument en professionals. Eerlijke voorlichting aan de consument over het verschil tussen spaarlampen, ledlicht en gloeilicht. Ook op het gebied van lichtkwaliteit, kleurweergave, gezondheid en milieu. Zolang er nog geen betaalbare lamp op de markt is die een 100 RA (=100% natuurlijke kleurweergave) heeft moet de gloeilamp blijven. The conservative MP Cheryl Gallant from Renfrew-Nipissing-Pembroke in Ontario has launched the website Stop the Light Bulb Ban. 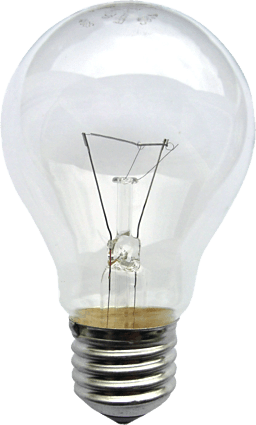 Supporters of Light Bulbs have the possibility to sign an email to the Minister of Natural Resources , the Minister of the Environment and the Minister of Health and demand to repeal the ban on incandescent light bulbs. This petition is already closed. This petition was initiated by the IRLEN Institute, which offers treatment options for reading and learning difficulties and headaches. »Nearly one-quarter of the world' s population will suffer negative physical effects if this legislation is allowed to pass. For this portion of the population, fluorescent light triggers headaches, migraines, stomachaches, fatigue, eye strain, anxiety, and irritability. Fluorescent lights can also negatively impact the immune system, literally making people sick. Energy conservation is an important goal that we should strive to achieve, but there are ways to conserve energy that do not hurt 25% of the population. This petition was created by Diana Lee, who herself suffers from migraines. This petition has been founded by Trishah Woolley on MoveOn. There are better ways to save money on energy without taking away our choice of light bulbs. Stop the ban on incandescent light bulbs that favors more expensive, mercury toxin-filled, health damaging fluorescent bulbs. H.R.6, that imposes the ban, has no health exemption for people who suffer clinically verified physical distress from fluorescent. 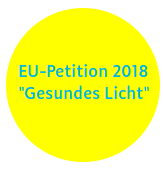 Find more informations about petitions & campaigns on Freedom Light Bulb.